These folders are made for the purpose of holding multiple documents of the European A4 (8.25″ x 11.75″) or the US Letter (8.5″ x 11″) size. They can also be made with pockets, and customized in other ways according to your requirements. They are usually used to carry and then hand out informational data or proposals. 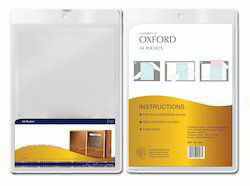 Pocket Folders are for holding multiple documents and are used for handing out proposals and/or informational material. These are usually of the size to hold regular sized documents i.e. either the European A4 (8.25" x 11.75") or US Letter (8.5" x 11") sizes. The usual standard is 9" x 12" with 4" high pockets, though custom sizes can be made for your requirements. Featuring decorative pocket folders made from eco-friendly handmade papers and printed in ethnic design. 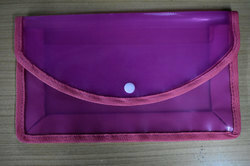 The pocket folder has two pockets for loose A/4 papers, a slot for a pen, and pocket for business cards. The folder is ideal as a storage folder. The colour options are Olive green, Black & Navy blue.